First, thank you for taking on the important task of exploring the idea of moving public school start times in West Hartford. I am grateful that this committee sees the value in reviving this long-debated issue. Given the irrefutable scientific data available to us now as parents, educators and leaders, I am writing you today in strong support of moving school start times later. 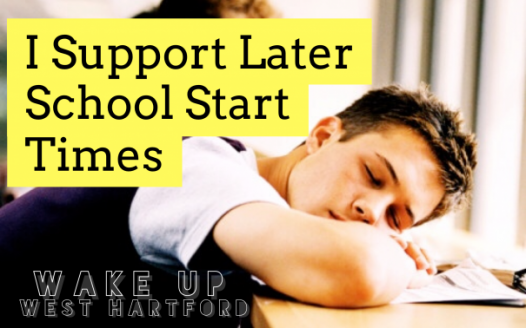 Specifically, I support Wake Up West Hartford’s proposal of starting high schools no earlier than 8:00am, as recommended by the CDC, the AMA, the AAP and the APA. *	Later start times have been shown to result in improved mental health, specifically reduced anxiety, depression, suicidal thoughts and substance use. *	Later start times have been shown to result in fewer tardies and truancies, greater graduation rates, and improved academics and test scores—-especially for the lowest performing students. *	Later start times have been shown to result in improved health, fewer school days missed due to illness, reduced traffic accidents, and reduced sports injuries. You are undoubtedly already aware of the many school districts across the country who have moved start times later and who are reporting incredible results from their communities. In most cases, children in those communities are getting more sleep, their academic performance is improving, and parents are relieved that some of the daily stress put on their children has been alleviated. I understand that there might be concerns expressed from families who must adjust to new schedules, and from organizers of extra curricular activities who must also adjust. I believe that these are issues to be worked through, not reasons to forego the adjustment of our school schedules. The health of our children must be our primary concern. Thank you again for the important work you are doing for our community, and for considering my support of moving school start times later. Are you a West Hartford resident? If you are a parent, which school does your child attend? Select all that apply.  Are you a teacher at a West Hartford Public School? If you are not a parent, student or teacher, please describe your position and how you relate to students in West Hartford.